I have never been into make-up. Save from my regular use of a moisturizer and the occasional use of lipstick and eyeliner, I have never gotten used to wearing make-up at all. That is why receiving an invite to a make-up launch is kinda new and queer to me. But since it is my favorite skin care brand – Celeteque’s new make-up line being launched, I gladly went. Celeteque’s new make-up line, the Dermocosmetics, is said to offer the best of both worlds: expert skincare solutions and superior color cosmetics that highlight one’s natural beauty, minus all the fuss. Having been told that the products are the best make-up line for everyday use, I readily agreed to try out the full skincare regimen for the face, lips, cheeks, and eyes via a make-over courtesy of one of the make-up artists present at the launch, Benjie Angeles (Look him up in FB: Benjie Espina Angeles). While these are relatively new products which may need refinements and improvements down the line, I see that these products are good enough for everyday use by those like me who are just starting to get comfortable putting on and/or wearing makeup. Beauty experts might have a more detailed take on the product and that’s what I am also excited about. 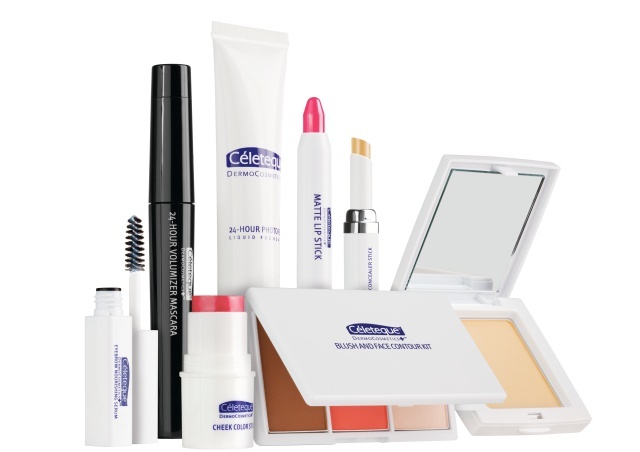 The new Celeteque DermoCosmetics line is already available in select Watsons branches. You can also shop at Celeteque’s online shop at http://celeteque.clickhealth.com.ph/. Thanks to the Celeteque team and Marcie and Audrey of Switch Collaborative Strategies for the invite and for my free Dermoscosmetics products. Today’s modern woman is a force to be reckoned with. She is classy and sophisticated. She works hard, but also plays hard. She is smart and sensible. She makes informed decisions because taking care of herself is her topmost priority. So, she sets a high bar for the products that she uses, and she expects nothing less from her personal care products. Her goal: to look and feel 2X BEAUTIFUL. The Céleteque DermoCosmetics Dual CC Matte Powder (P749.00) keeps oily skin at bay with its 12-hour matte finish. Cinical studies have shown a significant decrease in skin oiliness from the first and second week of product usage, and it has also been proven to reduce fine lines to up to 42.87% when used for four weeks. It also contains Glutathione, Arbutin, and Mulberry, all of which inhibit melanin production and lighten skin color with regular use. The Dual CC Matte Powder is also packed with collagen peptide, which maintains skin firmness and improves elasticity through increased collagen formation, as well as Tocopheryl Acetate, which promotes skin hydration. This multi-tasking product is also packed with color correcting pigments that even out skin tone, as well as SPF 30 to protect the skin from the sun’s harsh UVA rays, considered one of the primary culprits of aging. The Céleteque DermoCosmetics 24-hour Photoready Foundation (P795.00) is another must-have, as it provides a smooth airbrush finish for 24 hours while concealing dark spots for all skin types. It has micro pigments and silicone elastomers that hide blemishes and dark circles. It’s also has Phytocelltec, a component harnessed from cutting-edge plant cell culture technology that has extensive anti-aging properties, making skin more supple and radiant every day. Just like the Dual CC Matte Powder, the 24-hour Photoready Foundation is also infused with Collagen Peptide, which reduces wrinkles and improves skin elasticity through regular use: Studies have shown that wrinkles were significantly reduced up to 41.31% through the fourth week of product usage. Best of all, it has color-correcting pigments and SPF 30 that shield the skin from harmful UV rays. The Céleteque DermoCosmetics Dark Spot Concealer Stick (P595.00) offers superior coverage for skin imperfections while protecting the skin from free radicals. It has glycolic acid that lightens uneven dark spots, ranging from blemishes, sun spots, and age spots. It has Cytobiol Lumin-eye, which efficiently reduces puffy eyebags within 15 days! The Dark Spot Concealer Stick also has moisturizing properties, thanks to Tocopheryl Acetate, which promotes skin hydration and improves over-all skin texture. The Céleteque DermoCosmetics Nourishing line, on the other hand, has products that care for and nourish even the more sensitive parts of our face. For the eyes, it has the Eyebrow Nourishing Serum as well as the 24-hour Volumizer Mascara. Also part of the line are the Cheek Color Stick, Matte Lip Stick, Blush and Face Contour Kit that livening up the face with vivid colors while bringing out the skin’s radiant glow. Give the brows much-needed TLC with the Céleteque DermoCosmetics Eyebrow Nourishing Serum (P595.00). It has Biotinyl Tripeptide-1, which makes the brows stronger and healthier. Other ingredients like Panthenol and Pro-vitamin B5 also nourish the hair follicles, while making the skin softer and smoother. Make your lashes the talk of the town with the Céleteque DermoCosmetics 24-hour Volumizer Mascara (P645.00). Its revolutionary formula promises fuller lashes for 24 hours. It has Acrylates Copolymer, which holds lashes longer while preventing annoying clumps and smudges. It’s also powered with Aloe Barbadensis Leaf juice, which not only promotes the skin’s water retention but also protects the eyes from bacteria. The 24-hour Volumizer Mascara also comes with an innovative retractable brush that reaches even the smallest lashes, giving an even and fuller look with a smooth finish. The multi-tasking Céleteque DermoCosmetics Cheek Color Stick (P645.00) is a must-have in every kikay kit, as it easily highlights, brightens, illuminates, conditions, and adds color to the cheeks, lips, and even eyes. It keeps the skin hydrated, thanks to the moisturizing properties of vitamin E and sweet almond oil. Got dry skin? The Cheek Color Stick also has Bisabolol, an essential oil from the German Chamomile plant, which reduces flakiness brought about by dry skin. It also reduces fine lines to up to 49.89% upon the fourth week of usage. The long-wearing Céleteque DermoCosmetics Matte Lip Stick (P595.00) provides easy coverage and a pop of color while providing hydration for the lips. It glides easily on the lips and does not leave a waxy finish. Just like the Cheek Color Stick, the Matte Lip Stick is packed with Vtamin E and Bisabolol that nourish the lips and reduce suppleness while getting rid of flaky skin. Highlight the cheeks with the Céleteque DermoCosmetics Blush and Face Contour Kit (P845.00), which addresses all contouring needs while nourishing the skin. The 3-in-1 kit is composed of easy to blend blush powder, cheek luminizer, and contour blush that are packed with mineral gems (diamond, tourmaline, and sapphire) and mica that exfoliate the skin and make it glow. This key makeup kit product is slated to be a favorite between both makeup newbies and makeup pros as the palette can create subtle angles and shadows that naturally shape the face. It’ll truly help get you 2X beautiful with the proper highlighting and lowlighting—just like how our fave celebrities do it! This Blush and Face Contour Kit also has castor oil that acts as an anti-aging anti-oxidant, as well as vitamins A, E, F, H, and B, which keep the skin healthy and protect it from irritation. With its wide variety of multi-benefit products, Céleteque DermoCosmetics is the answer to every woman’s beauty needs. Each one plays up the features while providing hydration and protection from harsh elements. Enjoy long-wearing coverage, illumination, brightening and color while taking care of the skin all throughout the day. Just like Céleteque DermoScience’s skincare favorites, Céleteque DermoCosmetics line is dermatologist-tested, hypoallergenic, and clinically-proven, ensuring that the skin is healthy at all times. Be twice as beautiful, with everyday makeup that cares for your skin. After all, today’s hard-working modern woman deserves nothing less. Céleteque DermoCosmetics is available in select Watsons Beauty Stores. You can also enjoy stress-free shopping online at http://celeteque.clickhealth.com.ph/. For more information, check out facebook.com/Celeteque and http://www.celetequedermo.com. Something new and exciting from adidas! Herzogenaurach, October 2015 – adidas recently unveiled the future of performance footwear with Futurecraft 3D, a unique 3D-printed running shoe midsole which can be tailored to the cushioning needs of an individual’s foot. The 3D concept is part of the ‘Futurecraft series’, a forward-looking initiative that places open source collaboration and craftsmanship at the heart of design to drive innovation across all elements of production. 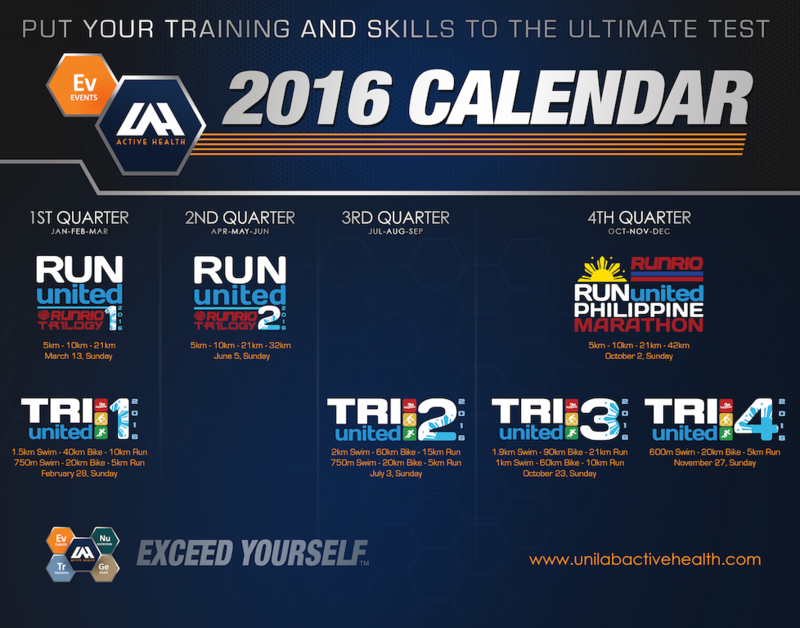 Check out the 2016 ActiveHealth Calendar! Put your skills and training to the ULTIMATE test! Bring out the better version of yourself. You may choose to upgrade to longer distances, or establish new personal records. Whatever your performance goal may be, each event was designed to test the skills you currently have, the nutrition regimen that you have been following, the gears that you have acquired and most importantly the training that you have been undergoing! The 2016 ActiveHealth calendar has been developed with experts within the swim, bike, and run community to cater to those who desire to progress from where they are today, to be better tomorrow. All it takes is everything. Exceed Yourself! 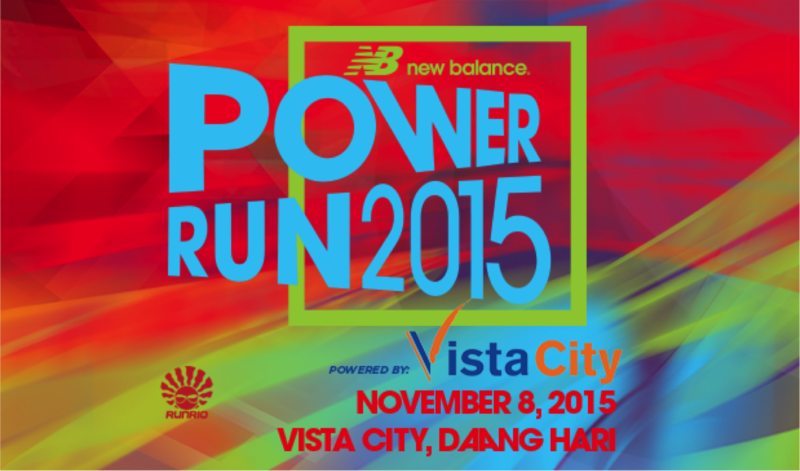 This year’s New Balance Power Run will bring runners to a new running destination in the south – Vista City in Daang Hari. I have always known Daang Hari as a favorite route for cyclists, in fact one of the best ride experiences I had includes both the Daang Hari and Daang Reyna route. I bet runners will also find the place to their liking as much as the bikers do! 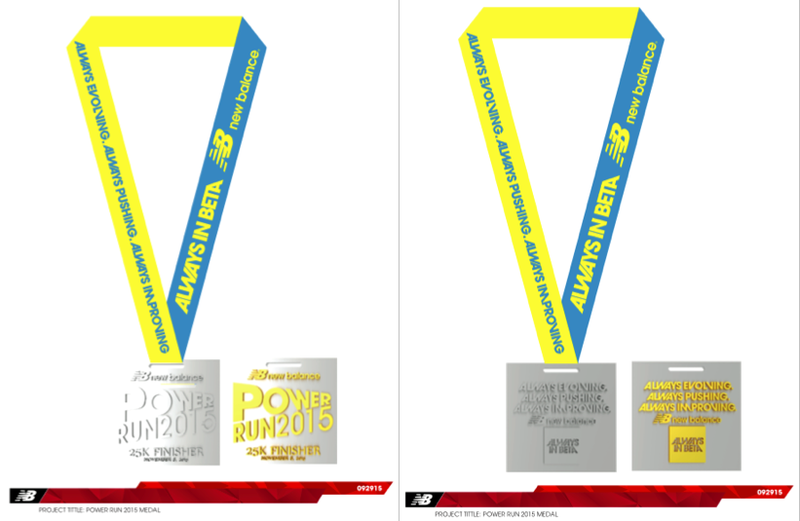 If you are looking for a new running experience, sign-up for the New Balance Power Run – it’s the only race the offers the 25km race category, has a maximum of only 5,000 target participants and has a totally new and challenging route! 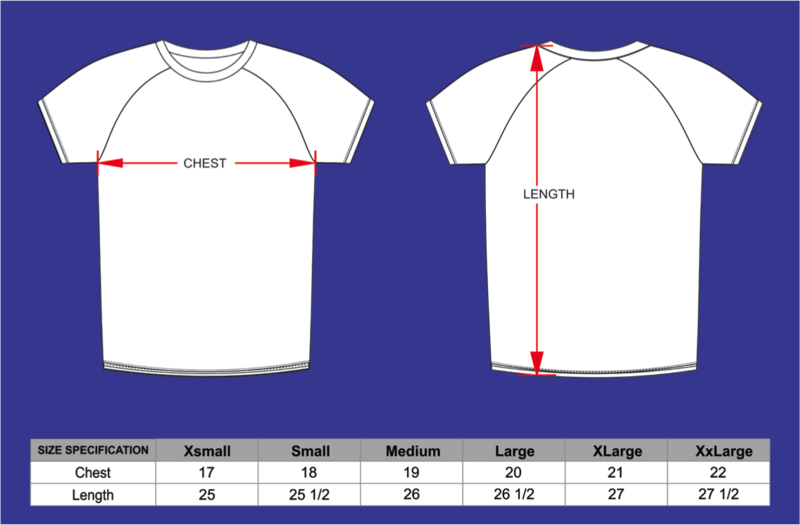 *In-store registration will have manual registration procedures. *Registrant must completely fill out the registration form and sign the waiver. 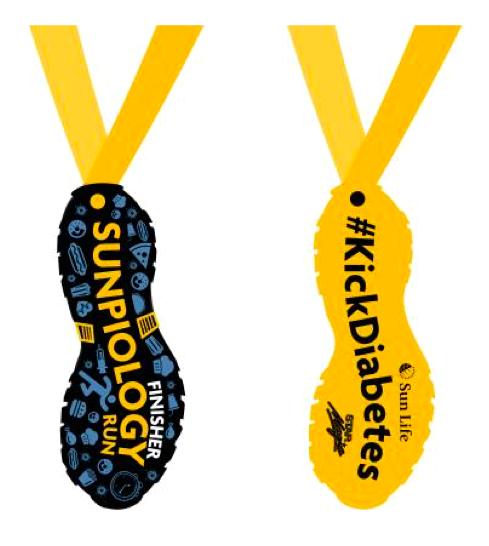 *Participant will receive the complete race kit upon payment. Shuttle service to and from Evia, Vista City, Daang Hari will be available for registered participants only. 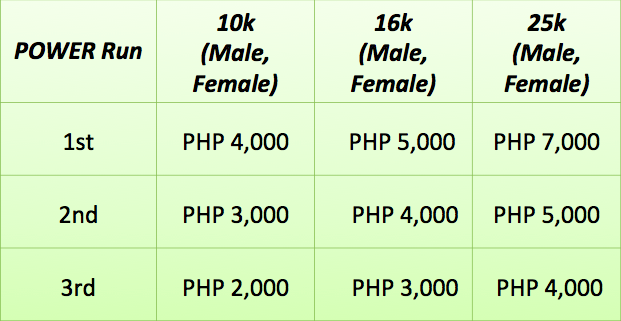 A fee of PhP 150/head for (2-way travel) will be charged to the participant. 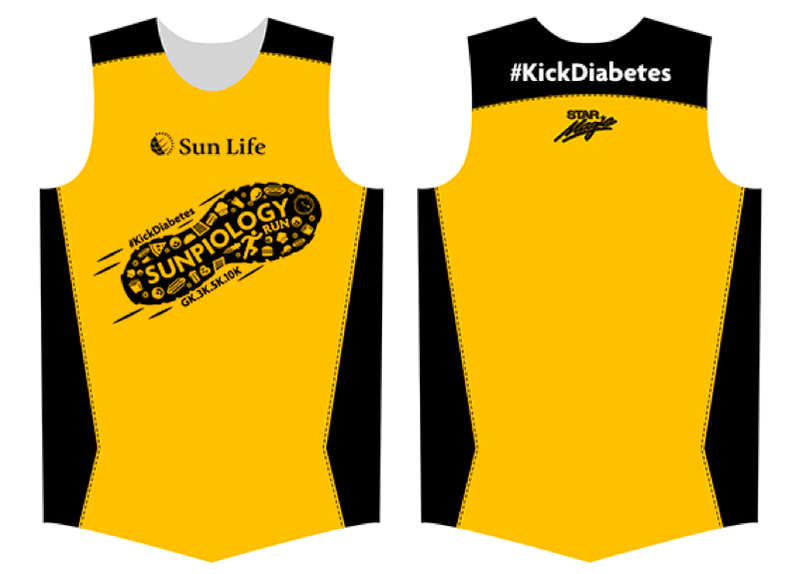 This year’s edition of the Sunpiology Run will be an obstacle run that will give focus Diabetes as an ailment. 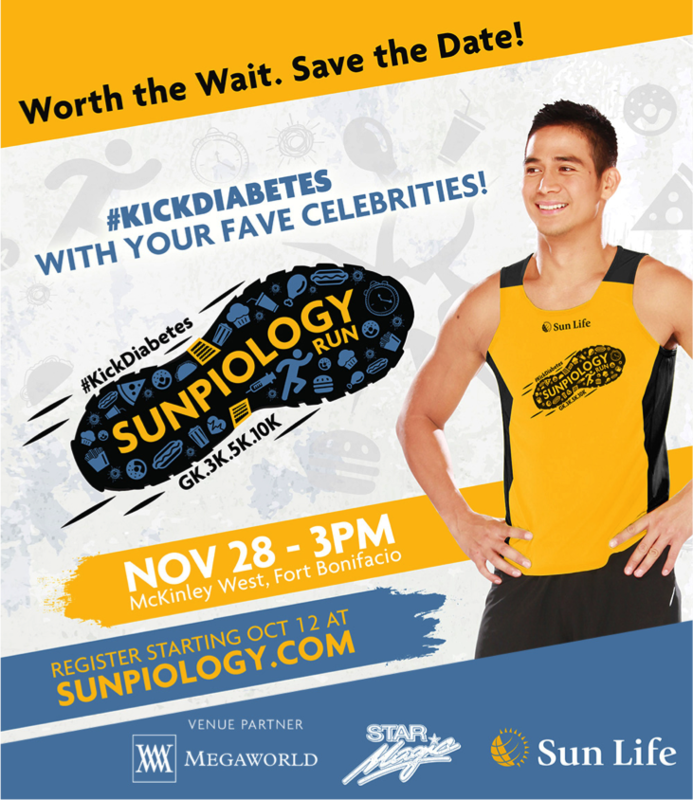 Dubbed as the Sunpiology 2015 #KickDiabetes Run, this running event led by celebrity fitness advocate Piolo Pascual, aims to highlight the awareness, prevention, care and research to Diabetes in a fun and fit way. Obstacle courses are unique and interesting as it is aligned with the theme. 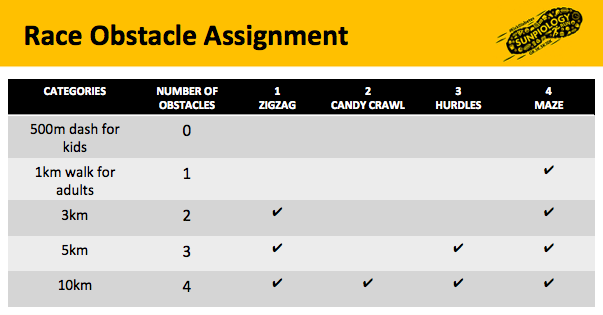 There is a Candy Crawl obstacle that will make participants crawl through an obstacle full of candy rocks and there’s one path where runners are expected to zigzag thru cans of soda full of sugar, and a number of other obstacle courses which will make every runner avoid obstacles as if they are literally avoiding or “kicking” diabetes. This event is open to all individuals and families/groups – may you be there for fun, for health, to see your celebrity idols or to support the run’s advocacy! Check out the race details below. 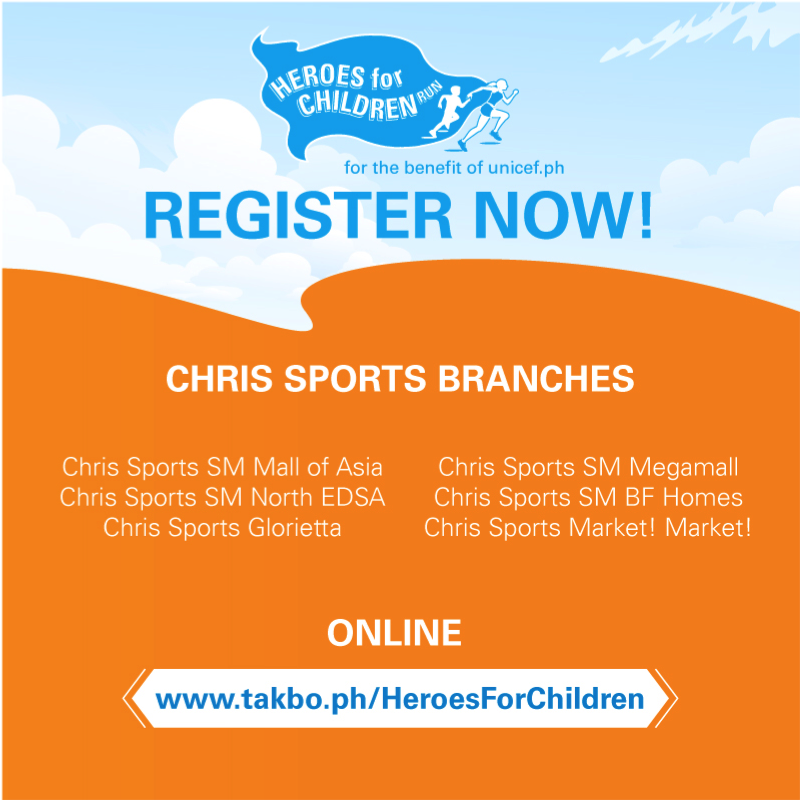 Sign-up now, registration is already on-going! Femme care is a staple for every woman and products like pH Care have helped Filipinas develop a healthy and comfortable attitude towards feminine hygiene. I first got to try this brand via a sample given away as a race kit finisher’s freebie. I have never looked back ever since. Me and my girls are loyal users! 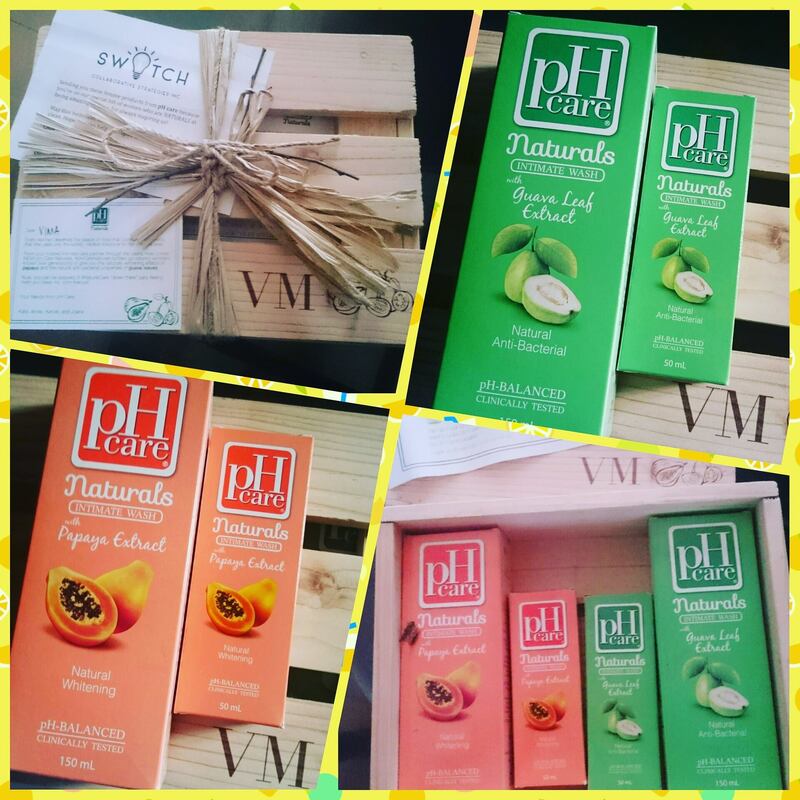 Imagine how excited we were upon receiving a stash of these pH Care Naturals line – the pH Care Papaya and Guava, new products that are meant to keep us naturally fresh and clean! Now that pH Care has jumped into the “all-natural” bandwagon, we can not only enjoy the beauty benefits of both papaya and guava extracts via our bath soaps and lotions but in our femme care product as well! Isn’t it a winner when you have a product with the combination of the mild and intimate care that we all have been used to plus the properties of these natural ingredients? 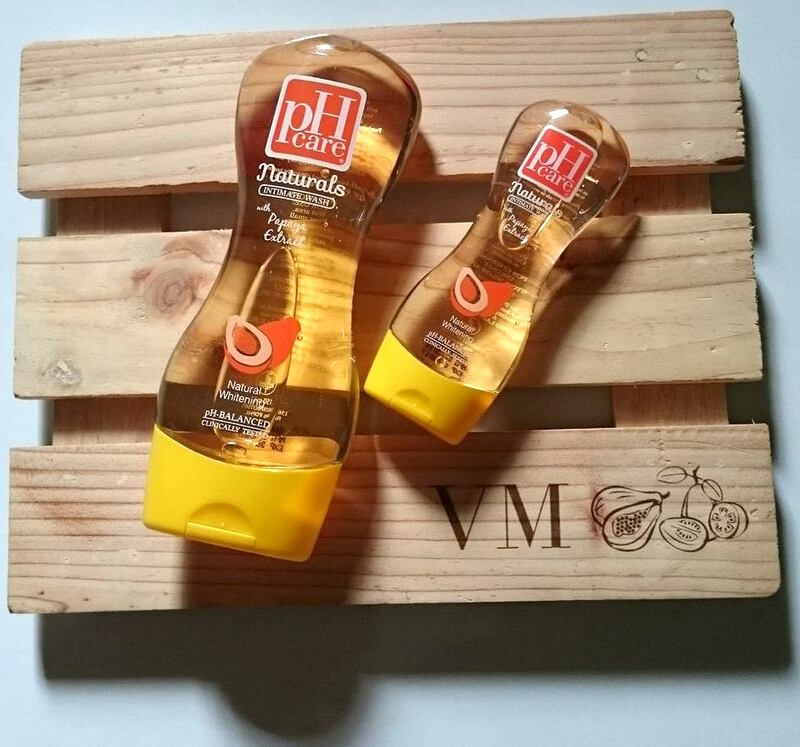 pH Care Naturals Papaya – promises to give us fairer skin after 14 days! 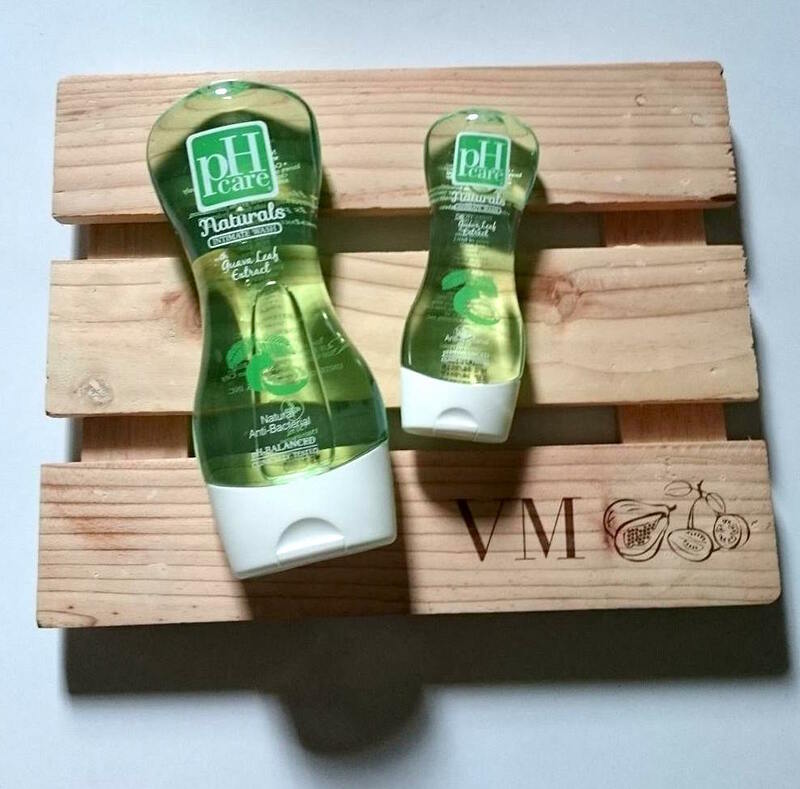 ph Care Naturals Guava – be confident with Guava’s deodorizing properties to keep us odor-free anytime, anywhere! So there! Which one’s your pick? ph Care intimate wash products are OB-Gyne tested and safe for everyday use. I always make sure I have a small bottle of it in my everyday care bag so that I am able to use it anywhere and anytime I find the need to. I always tell my two daughters to have one in theirs too! Biggie thanks to PH Care Philippines thru Marcie and Zo of SWITCH Collaborative Strategies Inc. for the free samples. 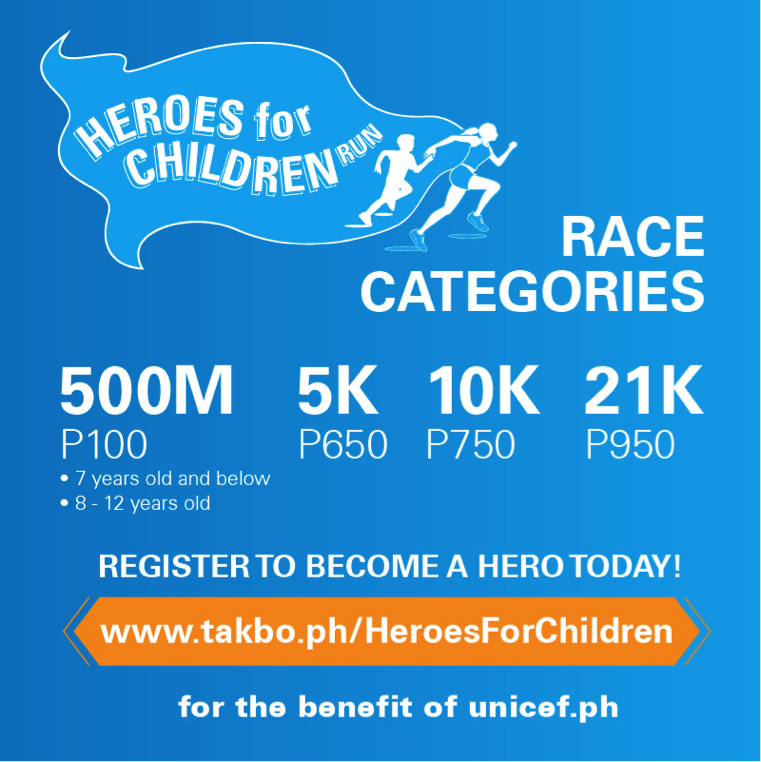 UNICEF, through the initiative of Celebrity Advocate for Children Anne Curtis, is holding a running event dubbed as the “Heroes for Children Run” which is meant to achieve a very good purpose – to help fund the “1,000 Days of Life” Campaign. The campaign, we were told, was launched to focus on the much-needed health and nutrition support in the critical first thousand days of the life of a child: from conception through pregnancy, to childbirth, and through to the child’s second year and beyond. 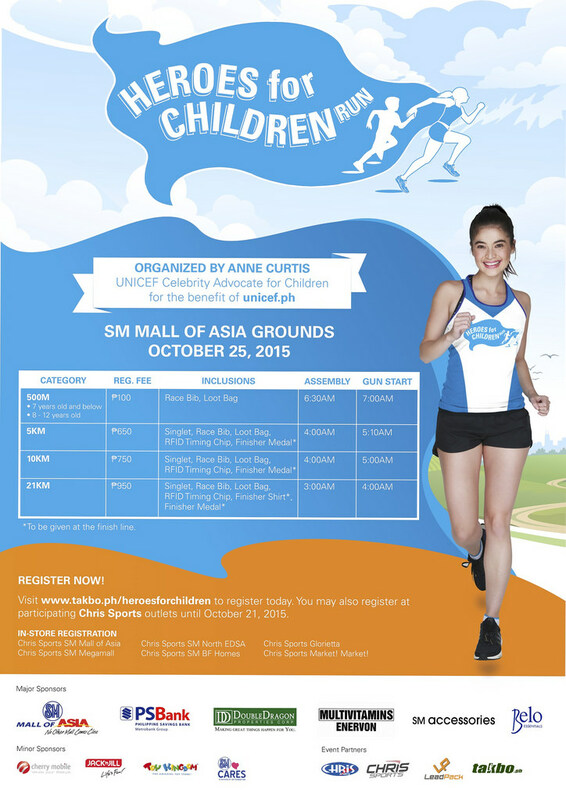 This race is the first ever running event to be organized by Anne Curtis, UNICEF’s Celebrity Advocate for Children, and a running enthusiast herself. “I am very much invested in health and fitness. I thought a benefit run that demonstrates health and wellness is a great way to raise resources to support children to have the best start in life! 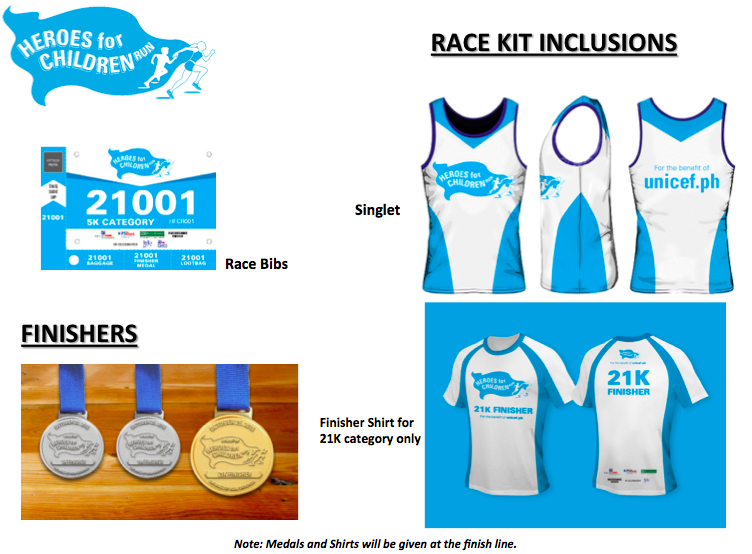 Proceeds from the run will help fund UNICEF’s ‘1,000 Days of Life’ campaign,” Anne said. She will be joined in this run by her celebrity friends as they make running as a means to raise funds for children. 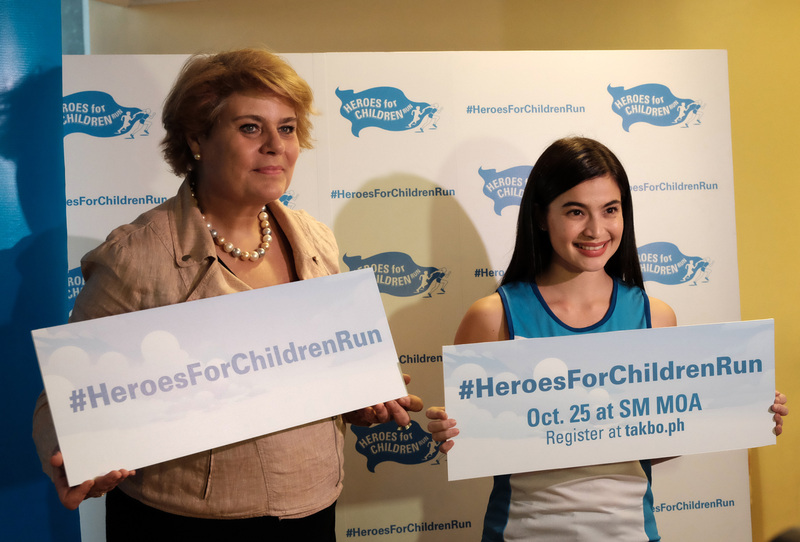 During the contract signing and press launch of the #HeroesforChildrenRun, Anne Curtis was there together with UNICEF Philippines Representative Lotta Sylwander. “In the Philippines, at least 3.4 million Filipino children are stunted. Undernutrition accounts for over half of the 95 daily under-five child deaths. The ‘1,000 Days’ campaign will focus on much needed health and nutrition support in the critical first thousand days of the life of a child: from conception through pregnancy, to childbirth, and through to the child’s second year and beyond,” said Ms. Sylwander. As a mom, I feel strongly about this campaign as I know that it is very important for children to be properly nourished especially in their formative years. 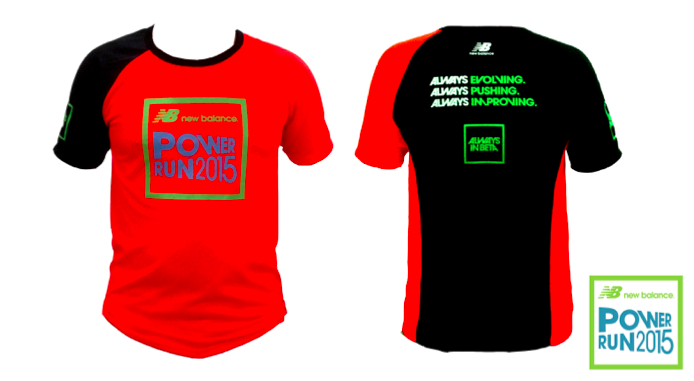 This run event again gives runners the opportunity to not just go out and run but run with a purpose. I encourage everyone to register for this event now if you have done so, and help UNICEF provide a lot of kids the proper health and nutrition they all so deserve.